George Zimmerman is a Free Man. Where do we go from here? First the answer is not anarchy. No rioting, looting, civil unrest. No-No-No! What's Love gotta do wit it? 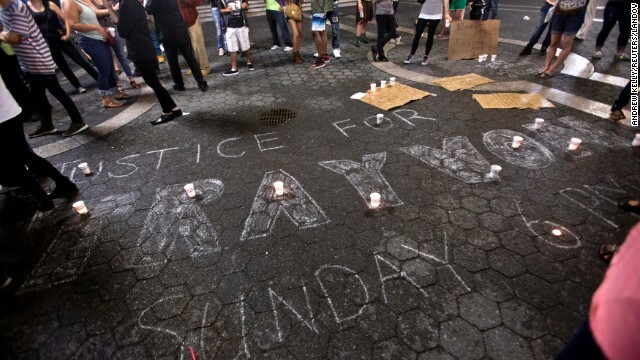 If the Trayvon Martin death is to have any significance, it must be one of a cause-to-action. Martin's death demands that we pay increased attention to the plight and potentially dangerous landscape that is faced by America's Black Male Youth. It is DANGEROUS to be a Black Teen in America. The reality is that RACE is/was the (one of many) factor in the Zimmerman case. Beyond that of race, we also have an issue of economic disparity within our Justice system. Trayvon is a cause celebre -- propelling us to action. The family and friends of Trayvon have set a foundation to set his legacy into infamy. The Trayvon Martin Foundation is my engine for remembrance, action, and political change. State and Federal laws, Gun Control, and a conversation about Youth in America is desperately needed. Please join me in remembering Trayvon Martin by supporting the Trayvon Martin Foundation.